A great thing happened when I was in preschool: my older sister taught me how to read. I’ve never stopped. 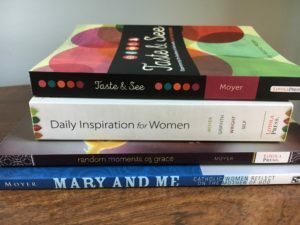 Here are some of my favorite books. 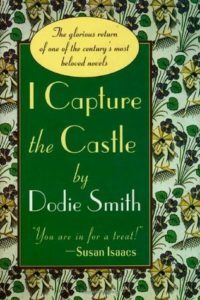 *I Capture the Castle by Dodie Smith is an effervescent coming-of-age story with a lovable narrator. *Jane Eyre is a classic for a reason. *Dorothy Whipple’s books, especially Because of the Lockwoods and They Were Sisters. Thanks to Persephone Books for introducing me to this author who makes ordinary human relationships unputdownable. *Mary Stewart’s suspense books are like James Bond tales for women. The Ivy Tree and Nine Coaches Waiting are wonderful places to start. * My Latest Grievance and The Pursuit of Alice Thrift by Elinor Lipman, who does dialogue better than anyone else. 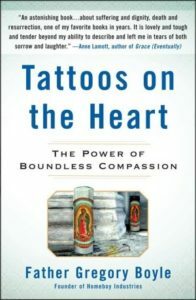 * Tattoos on the Heart by Gregory Boyle. I recommend this one every time anyone asks me for a good book on spirituality. *A Book of Uncommon Prayer by Brian Doyle is real and funny and luminous. 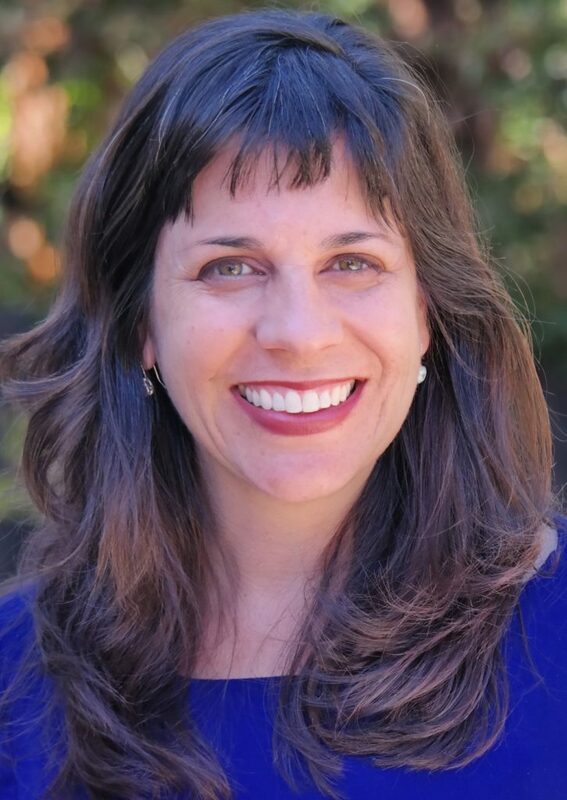 *Close to the Heart by Margaret Silf – wise, encouraging, beautiful writing on prayer. 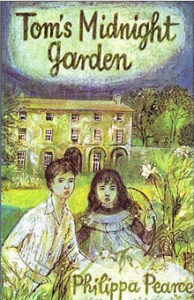 *Tom’s Midnight Garden by Philippa Pearce is a gripping time-travel kids’ novel from the 1950s. 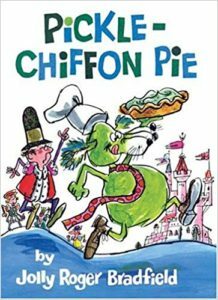 I read it with my older son and we both loved it. 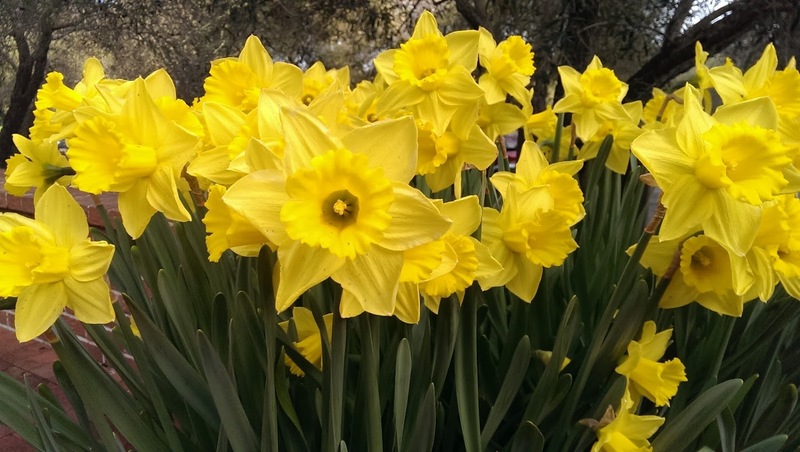 *Beverly Nichols was an urbane English curmudgeon who wrote some charming memoirs about his homes and gardens. Down the Garden Path was the first. *Beatrix Potter’s Gardening Life by Marta McDowell makes me realize how much of my vision of the ideal garden came from Potter’s watercolors. *The Forgotten Garden by Kate Morton is the perfect intelligent summertime read. *Andrew Henry’s Meadow by Doris Burn is full of magic and will make your kids start building a fort in the living room. *Hailstones and Halibut Bones features poems on color by Mary O’Neill. I particularly love the original edition with illustrations by Leonard Weisgard.